Chagall. Love dream, this is the title of the exhibition curated by Dolores Durán Úcar and produced and organized by the Arthemisia Group, will be held from the February 15 to the 30 June 2019 presso the Basilica of Santa Maria Maggiore at Pietrasanta, already home to prestigious exhibitions such as the Museum of Folly e Hidden Treasures. 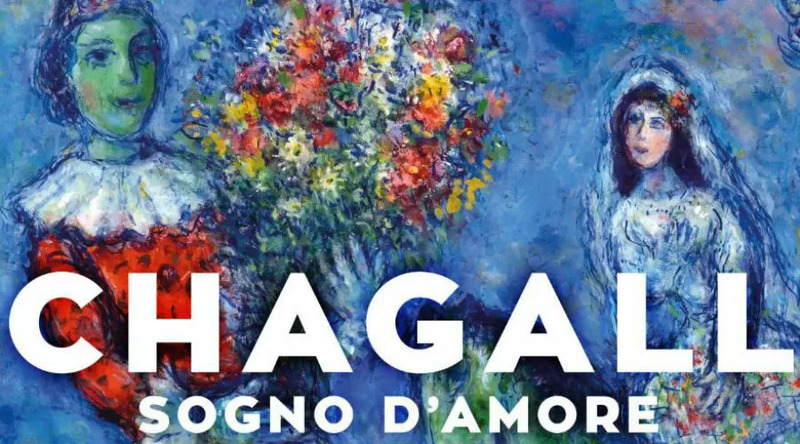 The exhibition on Chagall scheduled in Naples will include paintings, watercolors, drawings and engravings that will surprise visitors with the unmistakable expressiveness of the Russian painter, characterized by full color compositions and from the original artistic transposition of his interior dimension populated by extravagant characters that seem to float harmonically on the canvas. The over 150 works exhibited in the Basilica della Pietrasanta are divided into an exhibition itinerary that includes four sections and that it crosses the subjects and the themes that characterize the fantastic and utopian art of Chagall, between childhood memories, fairy tales, poetry, religion and war. The exhibition will propose a real journey to discover the fairy-tale and surreal atmospheres of one of the most interesting artists of the twentieth century who developed his eclectic and multifaceted style, able to range between cubism, fauvism and surrealism and in whose works it becomes difficult to distinguish between imagination and reality.